Before she could utilize her talents for her own solo endeavors, R&B singer, vocal arranger, and songwriter Keri Hilson wrote a slew of songs, many of them chart-toppers, for several popular artists in the mid-2000s as part of the five-person production/songwriting team known as the Clutch. The dynamic songwriter was born in Decatur, GA, only a few miles outside of Atlanta. Addicted to TV talent shows like Star Search and Showtime at the Apollo, she was already plotting out her career in music at age 12. Even though her mother hired a piano teacher to encourage those talents, she mainly wanted to sing; therefore, Hilson converted those sessions into vocal lessons, accompanying the teacher on piano. In her mid- to late teens, she jump-started her career as a songwriter and background vocalist, working under producer Anthony Dent (Destiny's Child, Diddy). Born out of that relationship were two failed girl groups (named Pretty Toni and D'Sign) and, more importantly, a host of connections within the industry for whom she wrote or did backup vocals, including Usher, Ludacris, Kelly Rowland, Ciara, and up-and-coming Southern rap producer Polow da Don. After Hilson graduated from high school, she managed to continue juggling all these tasks when she enrolled at Emory University in Atlanta. She eventually moved on from Dent and began working more with Polow da Don. Attending school while actively advancing her music career put a great demand on her, especially from being a member of the extremely versatile Clutch team. 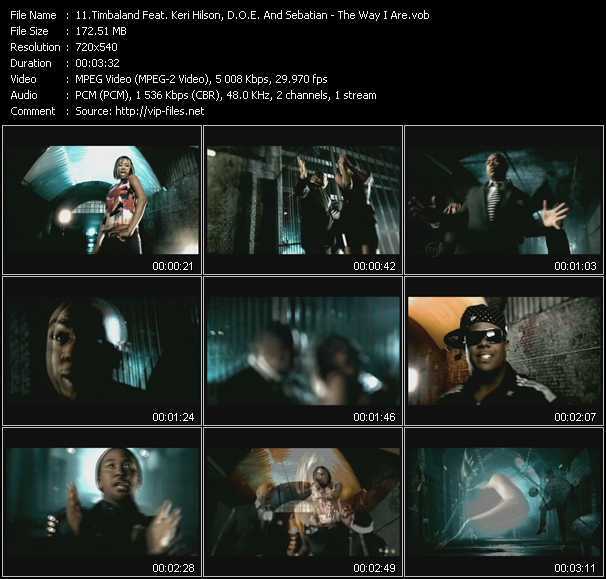 But as luck would have it, Polow introduced her to superproducer Timbaland, who wasted no time in signing the multi-talented songbird to his growing Mosley Music imprint in 2006. Over the next couple years, Hilson's songwriting was practically ubiquitous, responsible for numerous hit singles, including Mary J. Blige's "Take Me as I Am," Omarion's "Ice Box," the Pussycat Dolls' "Wait a Minute," and Britney Spears' "Gimme More." She was also featured prominently on Timbaland Presents Shock Value, including the number three Billboard Hot 100 hit "The Way I Are." With Timbaland and Polow in her corner, Hilson relied on the vast pool of recording artists and producers who needed (and wanted) to return the favor for her Mosley Music/Interscope debut. After a couple pre-release singles and numerous delays, In a Perfect World... was issued in March 2009, shortly after one of its tracks, "Turnin' Me On," had reached the Top 20 of the Hot 100. The album eventually reached gold status, selling over 500,000 copies, and earned Hilson a pair of Grammy nominations. She made another string of guest appearances ( on Nas' "Hero," Trina's "Million Dollar Girl," and T.I. 's "Got Your Back," to name only a few of many ) prior to issuing her second album, No Boys Allowed, before the end of 2010.